We talk a little about YouTube’s copyright policies and how companies are missing out on some opportunities for free publicity. The Heat just keep on winning. When will the streak end? Who can possibly end it? The Lakers find themselves struggling once again, possibly leaving the door open for the Mavericks and Jazz. George Karl believes there should be a major change to Playoff seedings. Do we agree? Moving on to community news, REDitor is getting closer to release, which should mean even more great mods. The rosters for NBA Live 2005-08 are also close to being released. I take a moment to recognise the efforts and support of the community in getting them done. We finish up with some discussion of the latest next gen console news. As always, we’d love to hear your feedback on this week’s show and your thoughts on the topics that we discussed, either in the comments below or here in the Forum. There was some controversy at the end of the overtime clash between the Bulls and Nuggets. We discuss the trend of blaming officials and the instant replay rules. The Heat narrowly escaped Cleveland with their winning streak intact at 24, already the second best in league history. We give our thoughts and as usual, ill-fated predictions. The injuries to former teammates Kobe Bryant and Andrew Bynum are discussed. Is Kobe rushing back? Is anyone going to give Bynum a max contract? We wrap up the NBA discussion with the latest chapter in the Royce White saga and LeBron James’ “Knighting” of Jason Terry. Leftos brings up an incident at PyCon, leading us to talk about inappropriate behaviour and the appropriate way to deal with it. As the discussion moves to basketball video games, we briefly touch upon what is “sim” and what constitutes “realism”. Are we PC users jealous of features that are console exclusive? We speculate a little more about next gen basketball games and reflect on whether NBA Live and NBA 2K met their CGI benchmarks from 2005. If you’ve got any thoughts on the show or any of the topics we discussed, please feel free to have your say in the comments below or in this thread in the Forum. We called the big two-oh a landmark last week, but due to cultural significance we’re trotting out the phrase again for the 21st episode. Ben throws down a dunking challenge to JaoSming, so I pull a LeBron James. For a change of pace, we dive straight into the NBA discussion this week, beginning with DeAndre Jordan’s dunk and the reactions it’s received. We recognise the Heat’s winning streak, with Ben being the most excited about it. The Mavericks are signing the first player in league history with multiple sclerosis. We wish Chris Wright well and applaud what we hope will be a feel-good story, while reflecting on some similar sporting stories (one of them admittedly fictional). Moving on to community news, we once again touch upon the subject of sharing resources when it comes to patching/modding. The Ultimate Base Roster has hit a significant milestone, so we take some time to recognise the outstanding efforts of everyone involved. Ben has a few gripes about NBA 2K13 and isn’t a fan of Dunk Contest Hero. We finish up with some talk about SimCity 5 and the messy situation upon launch. I sneak in a reference to LucasArts’ Afterlife, a SimCity clone from 1996 and an old favourite. As always, we hope you enjoy this week’s episode and invite you to share your feedback on the show, as well as everything we discussed, either in the comments below or in this thread in the NLSC Forum. 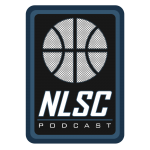 Episode #20 of the NLSC Podcast is celebrated with more predictions, along with the usual talk about the NBA, basketball video games and more. Join Leftos, Ben and myself for a milestone episode in which we discuss a multitude of topics from the past week, while once again bantering about this and that along the way. Stranded somewhere between the review and preview seasons, we instead talk about the exciting new project devised during last week’s Impromptu-cast by Leftos and JaoSming. We go over some of the great ideas posted so far and how the community can help out. We also mention a couple of things we’d rather not see in the project. We wander off topic for a moment to talk about movies, quality acting and support systems for young actors and athletes alike. In this week’s community round-up, Leftos has some more good news about tools and we approach a new milestone in our Downloads section. I offer some reflections on my NBA 2K13 MyCAREER game, following an NBA championship in the first season. Will NBA 2K13 PC ever receive the official patch? Should we be worried about the likelihood of future PC releases? We move on to this week’s NBA discussion which includes angry Tweets, a big game by Stephen Curry and the impressive play of the Miami Heat. Will LeBron James enter the dunk contest? Would the other participants get Magic’s $1 million if they end up winning instead? We salute Dennis Rodman, diplomat extraordinaire! After some talk about other video games that have come out recently, Ben has a few more questions for the community. As always, we welcome your thoughts on our discussion and the show in general in the comments below or this thread in the Forum, along with your answers to Ben’s latest round of questions. Late Thursday night in Athens, early in the evening in Vermont, Leftos and JaoSming get together seemingly just to play some Trials Evolution Gold Edition and chat. One hour in, just as Jon is finishing every single track in the single player “campaign”, they realise they are talking about some interesting stuff. So, Leftos hits record and an impromptu podcast happens. JaoSming shows off his mad skills in Trials, but admits he can screw up pretty much everything else. They go through what stuff your favorite duo has done together since that Episode #6 when they were last together on the NLSC Podcast. JaoSming makes some bold claims about NBA 2K13, and they both go over the ways they enjoy the game. They introduce the upcoming Roster Workshop tool for NBA 2K13. Leftos reminisces about how his NBA Stats Tracker tool started, how far it’s gone, and how it can help both real-life coaches and NBA 2K gamers enhance their experience and gain an advantage over their opponents. They discuss how Brad Pitt stole a Cavaliers’ stats guy in Moneyball. Wait, what? They go back to how their strong friendship began. Spoiler: It was yet another tool that brought them together. The troubles of decoding the roster are brought up; both have immense respect for Vlad and what he does every year. JaoSming tries to persaude everyone he’s still a good husband and father. An interesting question is brought up: When doing an Association, do you treat your players as real people, or do you ignore them completely and do your thing knowing its just a videogame? What’s more engaging when you introduce your Association to an audience? NBA Inside 09 is brought up, which apparently was a terrible basketball game, but had a good storyline, something that’s missing from all other basketbal games. Suddenly, magic happens, as they decide they’re going to start the biggest (and most interesting, possibly) project they’ve ever undertaken, and change the way basketball games are played. We’re not kidding. We hope you enjoy this impromptu bonus episode of the NLSC Podcast! Feel free to add your thoughts in the comments below or here in the Forum, and don’t forget to check out Episode #19 featuring Leftos, Ben and myself, released earlier this week. As we are still a few months away from the preview season, news is still slow. However, there were a couple of tidbits of note from the past week. Since the preview season is a little ways off, we note the need to be wary of fake news and speculation being mistaken for facts. Following our weekly community update, we discuss Forum etiquette, particularly in regards to modders and mod users. Leftos provides us with some exciting news about his tools, especially NBA Stats Tracker. We talk about our recent experiences with basketball video games, as well as some other games that we’re playing at the moment. Ben has a couple of questions for the community. The trade deadline turned out to be a very quiet one, shooting down our predictions (especially mine). Not inclined to learn from our mistakes, we offer some more predictions for the remainder of the regular season. We recap and react to Sony’s announcement of the PlayStation 4. As always, we’re eager to hear your feedback and responses to the show and everything that we discussed, so have your say in the comments below or in this thread in the Forum. One of us has sustained an injury, but it’s not an ACL tear. What a faux pas! A little bit of movie talk leads us to research the flicks with the most profanity and dish out a little innuendo. We move on to basketball video game news, which has been slow. Still no news on the PC patch for NBA 2K13; we’re not jumping for joy. NBA 2K13 and MLB 2K13 will be available together as a combo pack. I talk about it with all the enthusiasm I can muster. As the discussion turns to All-Star Weekend 2013, we reflect on our not-so-wonderful predictions. We offer our reactions to the Weekend and read out some comments from the community. The latest trade rumours are discussed as the trade deadline looms. More bold predictions are made, ready to be laughed at next week. We close with some chatter on Sony’s big announcement. Click Play to listen to this week’s show. We’re still working on the surprise we mentioned in last week’s podcast, so stay tuned for that in the coming weeks. As always, we’re eager to hear your feedback on this week’s show and everything we discussed in the comments below, as well as in this thread in the Forum. In Episode #17 of the NLSC Podcast, we discuss the joys of infected computers, stupid things for stupid rich people to buy, give our All-Star predictions and collectively tear our ACLs. Want a bit more of a rundown? Here’s a quick overview of this week’s episode featuring Leftos, Ben and myself. Leftos takes us through the trials and tribulations of making an international PhD application for US colleges. Where will Leftos end up? You’re going to have to wait for the ESPN special to find out. Touching on my day job in computer repairs, the discussion turns to viruses and online scams. Ben joins us after getting back from playing basketball and gives us an update on how the game went. We find some of the most ridiculous things you can spend a lot of money on, if you’ve got piles of it to burn. At long last, we get to our picks for the 2013 All-Star Weekend. We pick as a team and we’ll be wrong as a team. We’re not huge fans of the Golden State Warriors’ new alternate jersey. We wrap up with our thoughts on some other recent NBA news, including more injury woes for the Boston Celtics. Click Play to listen to this week’s show! Apologies again for the delay in getting an episode out this week. As I mentioned in my previous bulletin, we’re working on something very special for an upcoming episode that we couldn’t get sorted out for this week, but definitely stay tuned for that as we believe you’re really going to enjoy it and we’re certainly looking forward to bringing it to you. As always, please feel free to post your thoughts on the topics we discussed and the show in general in the comments below, as well as in this thread in the Forum. We’re a little late in posting this week’s episode of the NLSC Podcast, but you can expect it to be out within the next day or so. The delay has come about as a result of us sorting out a few things in regards to something very special we have planned, which we’re hoping to bring you as soon as next week if all goes well. Please stay tuned for that! Thanks to everyone who’s been tuning in to the NLSC Podcast so far, a lot of you have been listening every week so we hope that you’re enjoying the show! Remember that in addition to listening to the podcast here on the NLSC, you can also subscribe to us on iTunes and Blubrry. We’re also eager to hear your feedback, so please feel free to leave us your comments on the topics we discuss and the show in general. There isn’t a lot of noteworthy basketball video game news this week, but our modding community has continued to do excellent work, so once again we feel compelled to give some well earned recognition. We offer our thoughts on the Rudy Gay trade and whether or not he’s a franchise player. As Leftos is a Pistons fan, we make a point of noting that the last player from the 2004 championship team is now gone. Talk about dependable franchise players leads to a conversation about players with attitude problems and whether or not longer stints in college would make a difference, as we touch on the subject of the NBA’s age restriction. We discuss other recent NBA news and rumours including the announcement of the Rising Stars rosters, Brook Lopez being named a replacement for Rajon Rondo in the All-Star Game, rumoured trades and the return of Andrew Bogut. As the conversation turns back to basketball video games, we talk about the things we want to see improved in Dynasty, Association and MyCAREER mode, and read out some of the community’s thoughts on the matter. What else do we think is important for the future of basketball video games, especially as we approach the next generation of consoles? Click Play to listen to this week’s episode! As always we welcome your feedback, so please give us your thoughts on this week’s episode and any of the topics that we discussed in the comments below, as well as in this thread in the NLSC Forum. In case you missed the update on our Twitter, Facebook or Google+ pages, the weekly NLSC Podcast is now available through iTunes and is also listed on Blubrry, so be sure to subscribe! You can also continue to stream or download each episode right here on the NLSC and check out a complete listing of all our episodes here in our Wiki. Quite a lot of you are listening to the podcast, so we thank you for your support! We’re definitely interested to hear your feedback on the show though, so in addition to responding to any of our comments on the subjects we discuss, we’d also like to know how you feel about the length of the episodes, the range of topics we discuss, whether you’re bothered by occasional profanity or anything else we can take on board to make the NLSC Podcast enjoyable to listen to. We’ll also be recording a new episode within the next couple of days and we’re interested in your thoughts on how future NBA Live and NBA 2K games could improve as far as enhancing the Dynasty, Association and MyCAREER experience, especially when it comes to our story threads. We invite you to have your say here in the pre-podcast discussion! We open with some chatter that includes the weather and in the process, get a great idea for a new theme park…patent pending. The conversation turns a little dark, so we move on to a recap of the week in news. NBA 2K13 and NBA Jam: On Fire Edition received roster updates last week, the latter prompting a little more discussion than the former. A couple of potentially interesting notes about NBA Live are touched upon very briefly. The Hornets will officially become the Pelicans effective as of next season and we know what their logo will look like. Has it changed our minds about the new name? The reserves for the 2013 All-Star game have been announced. We react and talk about a couple of noteworthy snubs. Leftos has no interest in discussing the Bulls/Pistons game, but I do get to express some enthusiasm for Jimmy Butler’s recent play. Changing things up, we talk about some of our favourite web series, including the returning Nostalgia Critic. Mention of the Critic leads us to reminisce about a few things we’re nostalgic for. Click Play to listen to the latest episode! A fair warning, at times the language in this week’s podcast is coarser than usual and not what you’ll see in news posts and feature articles here on the NLSC. It’s something we can tone down (or simply bleep) if it becomes a problem for you, our listeners, so let us know your feelings on that as well as your thoughts on this week’s topics and the show overall, either in the comments below or here in the Forum. In honour of the Manti Te’o saga, we welcome everyone and their fake girlfriends to this week’s show! It’s been a slow news week, but we give a quick rundown of some stories of note. Leftos has a message for Lance Armstrong. The NBA All-Star starters have been announced. True to form, I momentarily forget who was voted in on the East. We talk a little about fan voting, All-Star games in years gone by and the Rising Stars Challenge. Which reserves do we think should be selected by the coaches for the All-Star game? Some gaming rumours are briefly discussed. Which TV shows have we all been enjoying (or at least watching) as of late? This week’s episode is actually shorter than recent podcasts as we’ve been taking some feedback on board and are looking to put out a tighter show with a more compressed news segment and fewer “monologues”. We hope you enjoy the latest episode, if you have any constructive feedback about the format and current approach we’re taking, or any thoughts on what we discussed in this week’s show, please feel free to have your say in the comments below or here in the Forum. Ben is welcomed back to the NLSC Team after never actually stepping down, so we spend some time getting to know him. NBA 2K13’s All-Star Weekend content is now available as DLC for Xbox 360 and PlayStation 3 users. We offer a few thoughts on that. We briefly recap a couple of news items from the past week, which include a new official roster for NBA 2K13 and the shutdown of online services for NBA Live 10 and NBA Jam. The Sacramento Kings may be moving to Seattle to become the new Supersonics, tipping off our NBA discussion for the week. The Lakers broke their six game losing streak and we ponder how far they can actually go this season. Rookie of the Year talk prompts us to mention Damian Lillard and of course, Andre Drummond. Dunks and the Dunk Contest are discussed. With no JaoSming around, I rail against throw-ins, at least in the Contest. Leftos tells us about the joys of running from zombies. I manage to remember all our social media addresses in closing the show, a marked improvement from last week. Click the Play button below to listen to the Podcast! We hope you enjoy the show and as always, we invite you to give us your thoughts and feedback in the comments below, as well as in this thread in the NLSC Hub section of the Forum. We’re back! We both had a nice holiday break, we hope you did too. Arcane has stepped down from the NLSC Team and his post as a moderator on the official forums; we thank him for his contributions and wish him well. Leftos provides an update on his latest tools for NBA 2K13 and the Stats Tracker for NBA 2K12. NBA 2K13 received two new rosters last week, opinion is still generally lukewarm at best. EA Sports are ending online support for NBA Live 10 and the 2010 reboot of NBA Jam. We ponder whether it means anything for NBA Live 14 and once again speculate a little on the next game. We move on to this week’s feature discussion, the Royce White saga in Houston. A few other NBA related topics are discussed. Click the Play button below to listen to this week’s episode! We’re glad to be back and looking forward to continuing to bring you a new episode each week throughout 2013. We hope you enjoy the latest episode, please feel free to add your comments below or in this thread in the Forum. You can also continue to discuss the situation with Royce White here in our NBA & Basketball Talk section.